We're glad to welcome you to FDG 2013 in Chania, on the Greek island of Crete. The old Venetian quarter, a compact and picturesque neighborhood on the harbor, will serve as the meeting location, with the conference venue, hotels, and restaurants in easy walking distance of each other. To foster community and discussions, registration covers lunches all four days, and dinner events on two days (a reception and the conference banquet). The conference will be held in a 16th-century building on the old Venetian harbor, formerly part of the shipyards and armory. Since 1872, the building has served various municipal functions (school, theatre, hospital, town hall, architectural center). There are many hotels located within a two- to ten-minute walk (100-600 meters), in both the historic old city, and the nearby modern city center. We have negotiated quite affordable conference rates with several of them—see the hotel list. 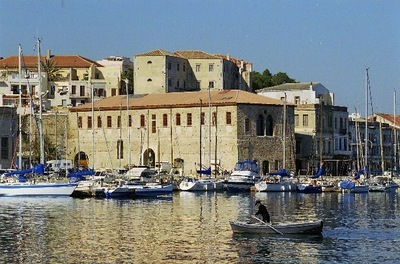 Chania's airport is Chania International Airport (CHQ), which is the strongly recommended arrival option. 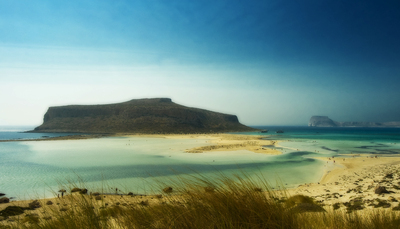 The next-closest airport is Heraklion (HER), 2-3 hours by car/bus, worth choosing only if interested in a scenic detour. Chania is a major hub of European low-cost airlines. Ryanair is the largest, flying from 27 cities in Belgium, Cyprus, Denmark, France, Germany, Greece, Italy, Lithuania, the Netherlands, Norway, Poland, Sweden, and the UK. Other low-cost options operating during May include: easyJet (London), Jetairfly (Brussels), Norwegian (Bergen, Copenhagen, Helsinki, Oslo, Stockholm), and Transavia (Amsterdam). Those coming from outside Europe will probably find it easiest to connect with a network carrier instead. There are numerous daily flights to Athens and Thessaloniki on Aegean and Olympic, which have codeshare deals with major international airlines. There are also weekend flights to Vienna on Austrian. As always, international itineraries will be much cheaper if they include a Saturday-night stay either before or after the conference. Chania is located in Western Crete, with beaches, mountain villages, and hiking within an hour by car or bus. Beaches dot the coast going west from Chania, and are plentiful on the sparsely inhabited peninsulas of Crete's northwest. Further south, Samaria Gorge, for which May offers good hiking weather, is approximately an hour away. Heraklion, Crete's other major city and home to the ancient Minoan palace of Knossos (1900 BC), is approximately two hours east.